In a bold move, North Carolina ends teacher tenure and automatic pay increases for master’s degrees. The legislation targets a compensation mechanism that is common in the U.S., where teachers receive automatic pay increases for years of service and advanced degrees. 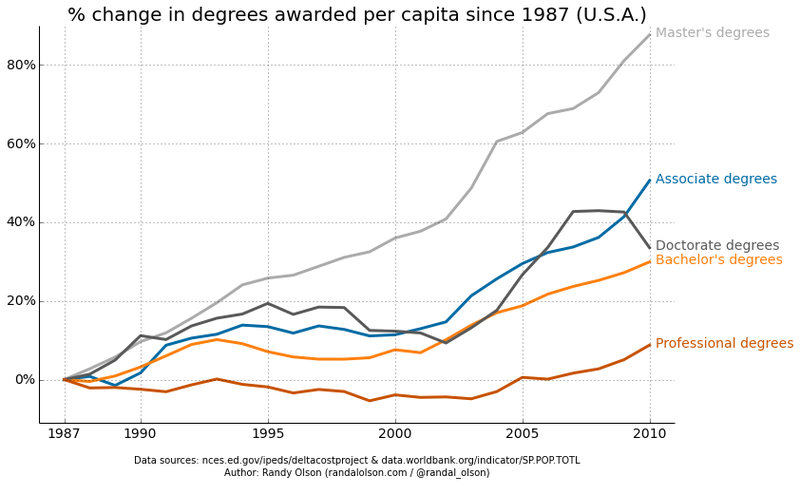 Some research has suggested those advanced degrees don’t lead to improved teaching…. … experts say North Carolina is believed to be the first state to do so. The budget bill—which drew hundreds of teachers to the Capitol in protest earlier this week—also eliminates tenure for elementary and high-school teachers and freezes teacher salaries for the fifth time in six years. Now the “best and the brightest” will avoid teaching careers? Tim Barnsback, a teacher at Heritage Middle School in Valdese, N.C., said, “Morale is going to be at an all-time low” due to the new policies and budget. “The best and the brightest aren’t going to go into the profession,” he added. This legislation was passed after the “GOP gained control of both legislative chambers and the governor’s office for the first time in 144 years”. This latest state budget allocates 56% toward education, a 1% increase over last year. A number of studies have shown that teachers with advanced degrees don’t, necessarily, produce higher student achievement than teachers who hold only a bachelor’s. Other studies have shown an advantage to holding a master’s in math and the sciences for high-school teachers. About 28% of North Carolina teachers hold master’s degrees. This move could have the positive effect of doing away with mediocre master’s programs. Glenn Reynolds points out “there are a lot of programs — particularly in education colleges — that exist largely to serve the automatic-pay-raise-for-degree market”. One study showed that about $14.8 was spent in the 2007-08 school year on “the master’s bump for teachers”. Automatic pay raises don’t reward top teachers. It must be tough to go without a raise for five years, but many workers in the private sector have experienced the same thing. Many have suffered salary cuts and layoffs. It’s been a tough recession, coupled with a “jobless” recovery. Automatic pay increases across the board seem like an anachronistic luxury, as well as an ineffective way to reward top teachers. Momentum for school choice has grown in recent years, and “courtroom victories are overwhelming teachers union obstacles”. January 26-31 is National School Choice Week, and supporters believe there is much to celebrate. … There are more than 50 such school choice programs — including school vouchers and tax-credit scholarship programs — in 25 states serving more than 300,000 children. Furthermore, about half of these programs were enacted in the past five years, which indicates that momentum for school choice is rapidly accelerating. 300,000 doesn’t actually seem like much, considering there are approximately 56 million K-12 student in this country. Wealthier families have always had school choice. School choice is shaking up the public education establishment, but it would be wrong to say that it’s a new, or even radical, idea. After all, if you are the child of middle- or upper-class parents, then it is almost certain that you benefited from school choice. 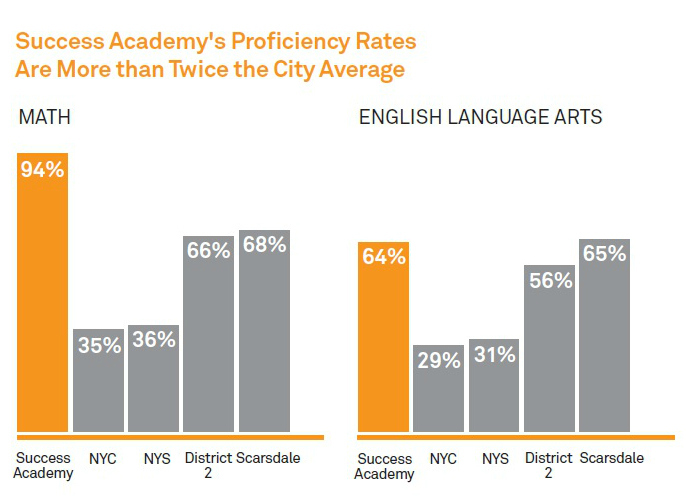 Perhaps your parents chose where to buy a home based on the quality of the local public school. Or perhaps they paid to send you to a private school. In any event, the reason you got a quality education is because your parents were able to afford choices that put you in a school, public or private, that they determined best suited your needs. Your educational fate was not determined solely by the ZIP code into which you were born. The present battle is being fought mainly for lower-income families, against teachers’ unions and their allies. … In recent years, they have challenged school-choice programs in Arizona, Indiana and New Hampshire — where they’ve suffered decisive losses — and Alabama, Colorado, Georgia, Florida and North Carolina — where their lawsuits are ongoing, but have suffered big setbacks. (They prevailed in Louisiana, but the state legislature quickly undid their victory.) When more states pass school-choice programs, the unions will no doubt file more lawsuits. Bert Gall, an Institute for Justice attorney who is at the heart of the battle, is optimistic. … the unions’ legal onslaught is not a sign of strength, but of desperation. Their lawsuits are often a collection of weak legal claims that are thrown against the wall in the hope that one will stick. While the unions may win the occasional skirmish, they will ultimately lose the legal battle — with the result that school-choice programs will expand to serve more and more families. Success Academy Bronx 2 scholars perform the School Choice Week Dance. In addition to dancing skills, these student have consistently demonstrated high academic achievement levels. 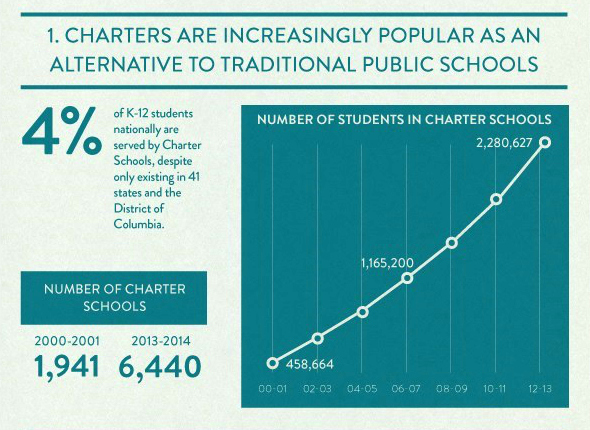 ADDED: Charter schools serve 4% of school-age children in the U.S.
Bert Gall, “The steady progress of school choice”, Washington Times, January 25, 2015.